As underpinning specialists, Falcon offers a wide range of effective and economic solutions to all types of subsidence problems. We provide a range of underpinning and foundation repair systems including Mass Concrete, Beam and Base and Mini-piled underpinning. 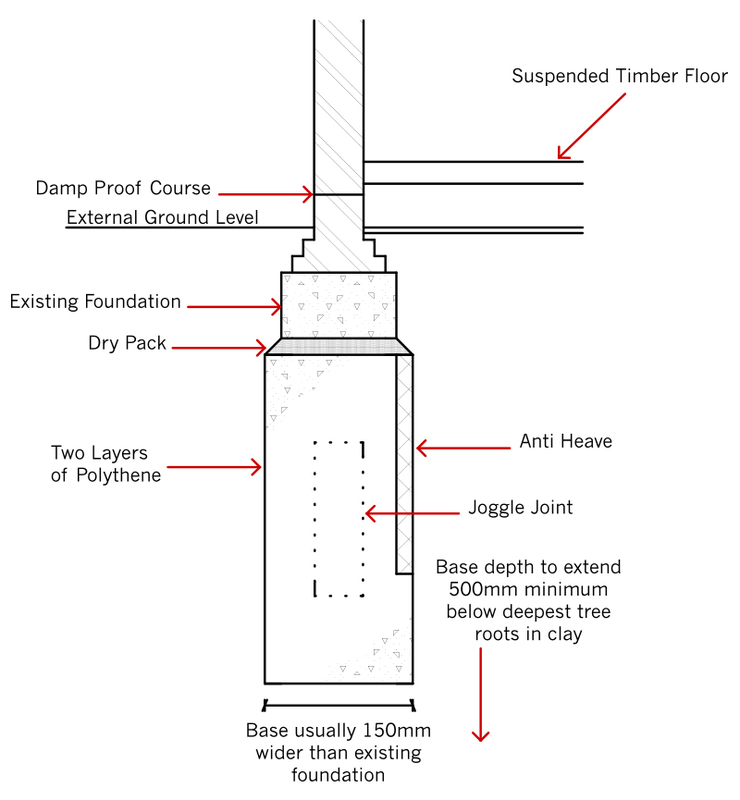 The traditional mass concrete method of underpinning is an established technique, suitable for relatively shallow depths of underpinning in dry stable ground conditions. Bases are excavated and constructed in a planned ‘hit and miss’ sequence, ensuring that the structural integrity of the building above is safely maintained.